The Golden Section is a source of inspiration. It suggests an explanation for the origin and meaning of the synthesis which is revealed in the map. A simpler way to come to the map idea is Anthropomorphism. This is the tendency to attribute human characteristics to inanimate objects, animals and others.  Litany River – In Latin the word 'litanies' means: A prayer. Lake Kinneret – The Jewish Mishna sages explained the city's name in the Hebrew expression: 'It has good eyesight'. Jaffa – This is the port from which Yona the prophet sailed and later was swallowed by a whale. Dead Sea – Joshua captured Jericho by trumpets blowing. Jerusalem – It’s the city of G-d saying. Gaza – Samson moved out the city gates. 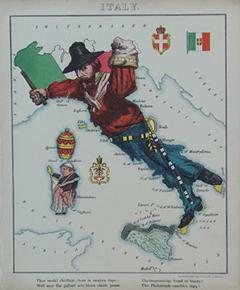 The map of Italy is by the English painter William Harvey. He published in 1869 an atlas of anthropomorphic maps. In the preface he describes the advantages of the anthropomorphic map as an educational tool which stimulate children's mind. The level of correlations between Geographic regions and the body parts is much higher in the Holy Land map then in any other map of the same principle. It is a level of correlation which calls for a scientific examination. Without a scientific value test, the map will remain as a cartographic curiosity. 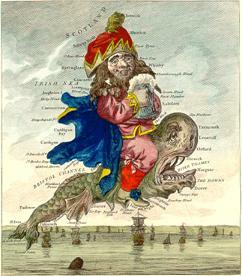 Between a scientific finding and a caricature, this map is an image with many messages. It is an image in practice, or a visual telling of stories. One message is that of the Bible stories. The fate of the main characters in the Bible, from Abraham to Jeremiah, is determined by this idea of the general unity between the land, the people and the G-d of Israel.